To be an SUV that is popular, beautiful and fast is not always enough. So Lexus has made the NX an even better buy for 2018. 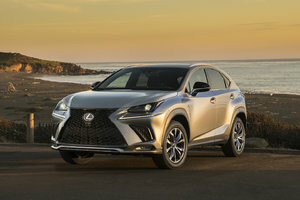 The 2018 Lexus NX 300 has been restyled with new lines and trim accents. There are many exterior standards to help you deal with snowy winters and muddy springs. These include headlamp washers, fog lights, splash guards, heated side mirrors, and a windshield wiper de-icer. Automatic high beams allow you to keep your hands on the wheel on a dark winter’s night. 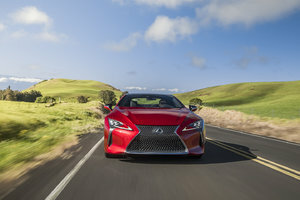 Lexus engineers focused on better ride quality for 2018. As such, there are new shock absorbers, better springs, improved stabilizer bars, and upgraded bushings. With this revised suspension tuning, drivers will notice improved cornering. An Adaptive Variable Suspension can regulate the ride with even greater precision. This system reads the road and responds with up to 650 damping and compression combinations. All-wheel drive provides all-weather traction, a bonus when snow and ice are on the ground. Under the hood, the NX 300 has a smart turbo that can switch between port-injection and direct injection to maximize performance and minimize fuel waste. The turbo cranks out 235 horsepower and 258 lb-ft of torque. If you prefer, the NX 300H is a 194-horsepower hybrid. It earns 7.9 L/100km on the highway. With either model, crash avoidance systems enhance handling. Adaptive cruise control regulates your speed to match conditions. An automatic braking system works with the forward collision warning to keep the NX out of harm’s way. A pedestrian watch can trigger the SUV to stop if the driver misses important alerts. All NX models have eight airbags and whiplash lessening seats. In the 2018 Lexus NX cabin, craftsmanship goes further with high quality materials and designer colours at play. Dual front power seats are power-heated. An eight-inch display and Scout GPS Link help you find your next destination. 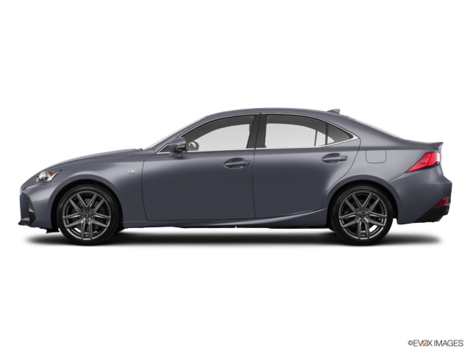 Lexus also gives you a four-year subscription to Enform for your safety and security. The 2018 Lexus NX 300H comes equipped with a heated steering wheel and a 10.3-inch touch interface with full navigation. Its Executive Package includes a power-adjustable steering wheel, heated rear seats, and a hands-free power-operated back door. 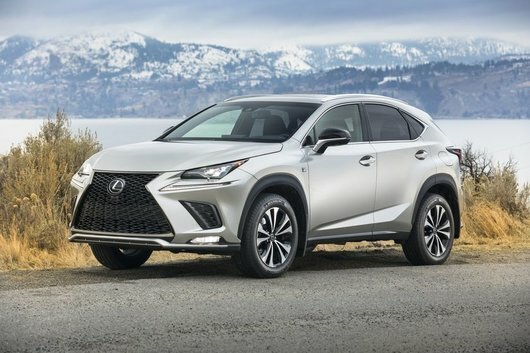 You’ll want to take a closer look at the 2018 Lexus NX. 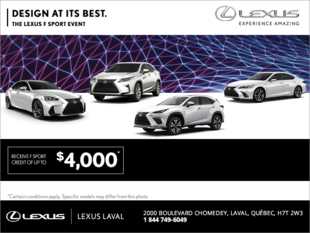 It’s available now at Lexus Laval.